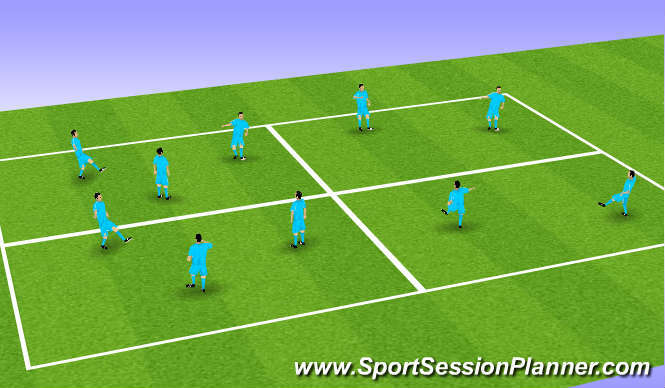 A- Players Given one or two touches on passing had to changesquares,however the same number of players had to be kept in the same square. B- Players still had to change squares all had two touches but had to pass in sequence e.g. 1-2,3-4 etc up to 10 & back. Players had to link with each other passing through the gate. Passing, driven,sweved, inside, outside. Use of body. arms, screen, long/short, when where. Vision of where/when to upport, movement inbetween defenders. creating space to use. Endurance, anaerobic, running, agility, balance, co-ordination. Practice that involved an ability to focus and think on the right decision. All payers worked hard and were able to group the principles involved of passing (what type) and movement and support. 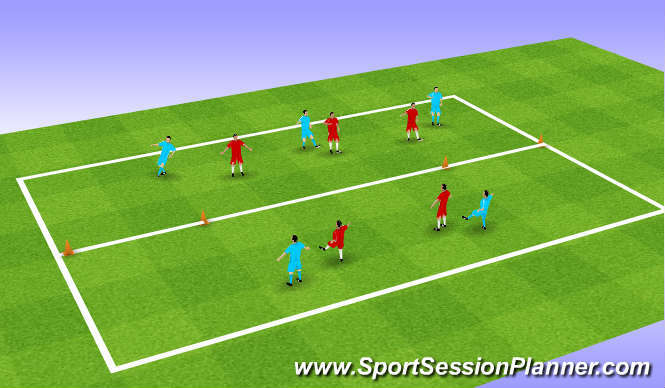 The session was high tempo due to the number of touches involved, space created, ball delivered man arrives.